Our Valued Staff - Newcastle Funeral Home Ltd.
Trevor Charbonneau purchased the Newcastle Funeral Home from Carl Good and his wife Joyce Kufta in 2012. Originally from a small town in Northern Ontario, Trevor has had experience in working for both corporate and family owned funeral homes. Trevor started his career as a licensed funeral director in 2000 at Rosar-Morrison Funeral Home in Toronto, Ontario. He eventually became the Assistant Manager there, and then was promoted a few years later as Manager at Jerrett Funeral Home in Scarborough, Ontario. Along with his wife Rebecca, and two children Isabella and Evan, Trevor looks forward to serving the community for many years to come. Originally from Wilmot Township, a small farming community near Kitchener/Waterloo, Carl Good brings over 30 years of funeral service experience to the families of Newcastle and the surrounding communities. He has served on Ontario Funeral Services Association committees and was a Board of Funeral Services Embalming Examiner for Humber College's funeral program students for eight years. His wife Joyce Kufta is also from a funeral service background, with more than 25 years experience in funeral home administration. Born and raised in Ajax Ontario, now a resident of Orono. Kellie graduated from Humber’s funeral service program in 2011 and obtained her license in 2012. Knowing that not all families are the same Kellie takes pride in being able to work alongside families to provide unique traditional funeral services or a basic service a family may be looking for. Kelly joined Newcastle Funeral Home in 2017. She has been a licensed funeral director since 2012. Born and raised in Orono, Kelly is well aquainted with the community and looks forward to many years of serving the families that come through our doors. 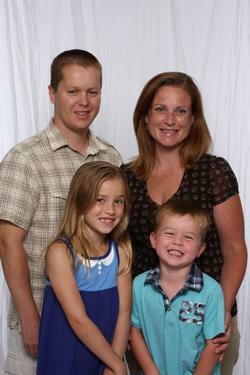 Andrea was born in Orangeville, raised in Bowmanville and she is a proud mother of 3 young children. Andrea comes to us after completing her internship and graduating in 2014 from the Funeral Service Education program at Humber College with honours. With a naturally compassionate and kind nature, Andrea will be a great addition to our team.